Capcom has announced that the “Resident Evil Origins Collection” will be out next year on PlayStation 4 and Xbox One. The collection will feature two Resident Evil origin stories: Resident Evil 0 and Resident Evil HD. According to IGN, the package of two will contain remastered editions of the origin stories. “Both terrifying games have been brought to new new levels of horror with new HD visuals, improved sound, widescreen support, an optional modernized control system and more.” Resident Evil 0 was first released by Capcom for the Nintendo GameCube in November 2002. Moreover, Capcom reveled a new “Wesker Mode” for Resident Evil 0. 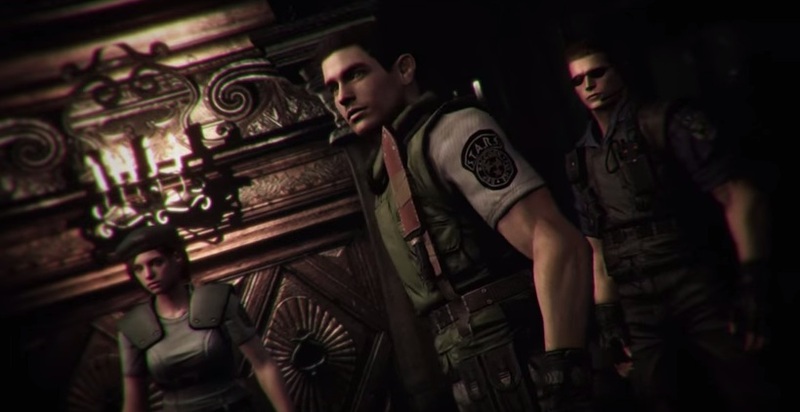 Instead of playing as Billy Coen, the new mode allows gamers to follow the events leading to the mansion outbreak, playing as Albert Wesker and accompanying S.T.A.R.S. member Rebecca Chambers. Special outfits for the all-new mode are available for the two characters. Meanwhile, according to Games Radar, a remake for Resident Evil 2 has been confirmed. The survival horror classic first released for PlayStation One, is now being remade for modern consoles. “We’re pleased to confirm that Resident Evil 2 has been approved for development. As the title is only just starting its development cycle we unfortunately don’t have any additional information or assets to share at this time. However, for now we want our fans to know that we appreciate all the feedback and support we’ve received on this title. We’re looking forward to delivering this highly anticipated Resident Evil experience that fans have been waiting for,” said Hiroyuki Kobayashi, producer and motion capture engineer at Capcom. “Resident Evil Origins Collection” is slated for release on January 19 in North America and January 22 in Europe for $39.99. For $19.99, Resident Evil 0 will also be available as a standalone digital download for PlayStation 4, Xbox One, PlayStation 3, Xbox 360, and PC in early 2016.